Traditional and comfortable is the Lotus ladies’ Beid full slipper shoe. Fashioned in quality textile, with a soft faux shearling trim and inner these slipper shoes will envelop your feet in relaxation and warmth. 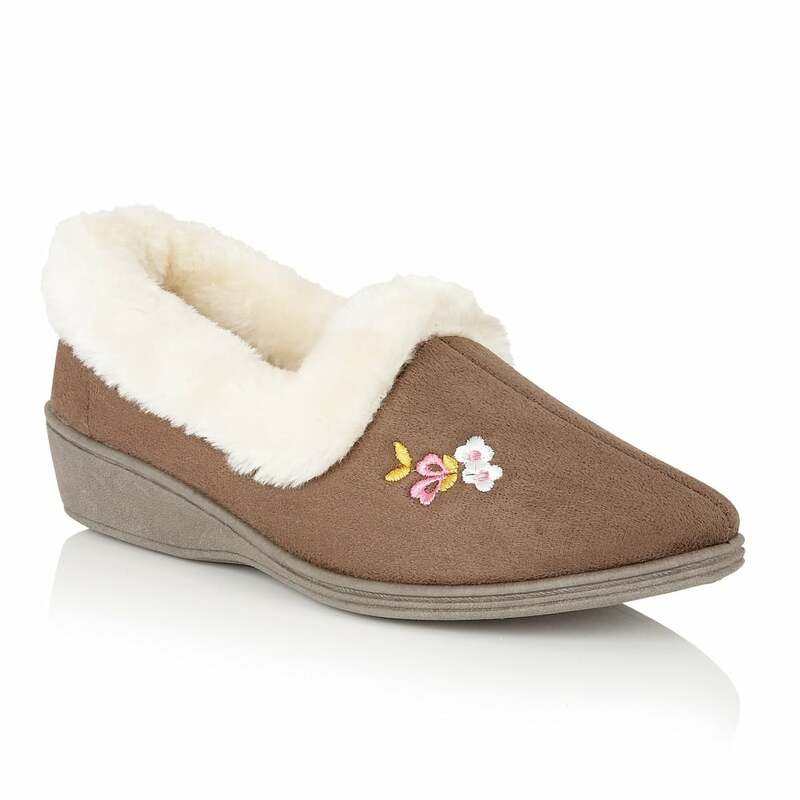 Finished with a delicate embroidered floral motif these slippers are an investment in easy comfort this season.